One of the biggest panels of Comic-Con last month was the star-studded Warner Bros. panel, where the studio unveiled a new Justice League trailer that was received quite well by fans and critics alike. The brilliant minds at LEGO Motion Studios decided to put their own spin on it, debuting a new LEGO version of the trailer, and just in case you want to watch it again, we have included the actual Justice League Comic-Con trailer below the LEGO version. As you can see, it's quite accurate, and rather hilarious as well. The LEGO trailer surfaced on LEGO Motion Studios YouTube, which painstakingly recreates all of this footage with LEGO mini-figures. The footage even puts a LEGO spin on some of the content, such as a newspaper that showed the death of Superman, with the newspaper revealed as "The LEGO News" and the headline reading that he was, "The Greatest LEGO Hero Ever." The trailer still features all of the original audio from the Comic-Con trailer, but the footage of these DC superheroes have been replaced with mini-figure versions of Batman (Ben Affleck), Wonder Woman (Gal Gadot), The Flash (Ezra Miller), Aquaman (Jason Momoa) and Cyborg (Ray Fisher). While it remains unclear when another trailer will be released, this LEGO trailer will help fans pass the time until the next trailer drops. 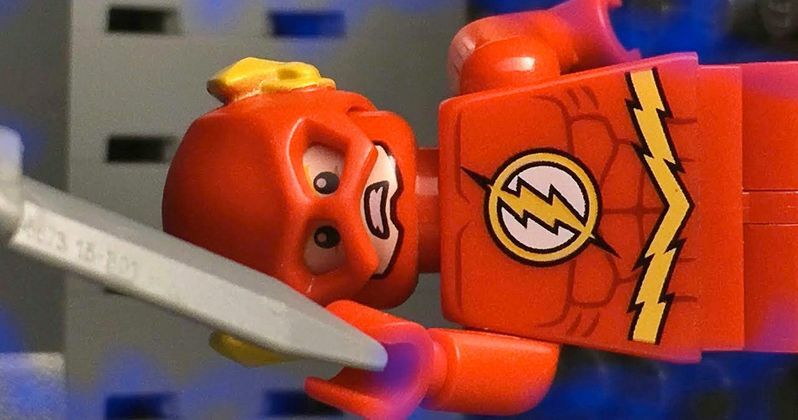 This new LEGO trailer comes just days after a report surfaced that this Justice League movie will kill off a major character, which may be Ben Affleck's Batman. Of course, that has yet to be confirmed, and it also seems unlikely since the studio is planning The Batman reboot that Ben Affleck will star in while Matt Reeves will serve as the director. There have been recent rumors, though, that Ben Affleck may be looking to leave the DCEU franchise altogether, which could lend some credence to this most recent rumor about the Justice League movie killing off Batman. Still, with a second Justice League movie also coming, it seems quite unlikely that the studio would kill off one of its biggest heroes. Fueled by his restored faith in humanity and inspired by Superman's selfless act, Bruce Wayne enlists the help of his newfound ally, Diana Prince, to form the Justice League and face an even greater enemy. Together, Batman and Wonder Woman work quickly to find and recruit a team of metahumans to stand against this newly awakened threat. But despite the formation of this unprecedented league of heroes, Batman, Wonder Woman, Aquaman, Cyborg and The Flash, it may already be too late to save the planet from an assault of catastrophic proportions. Warner Bros. has set a November 17 release date for Justice League, putting it up against Lionsgate's drama Wonder. Ben Affleck hinted in a recent interview that this upcoming Justice League movie is the product of two very different directors, meaning Zack Snyder, who filmed most of the movie before he had to depart due to a family tragedy, and Joss Whedon, who was tasked with coming abord to shape the story after Zack Snyder left. Joss Whedon is said to be infusing more humor into the story, although that has yet to be confirmed. There have also been rumors that the Justice League reshoots have spiraled out of control, but we'll find out for sure when the movie hits theaters November 17. Until then, take a look at the LEGO version of the Comic-Con trailer, and the official trailer below.